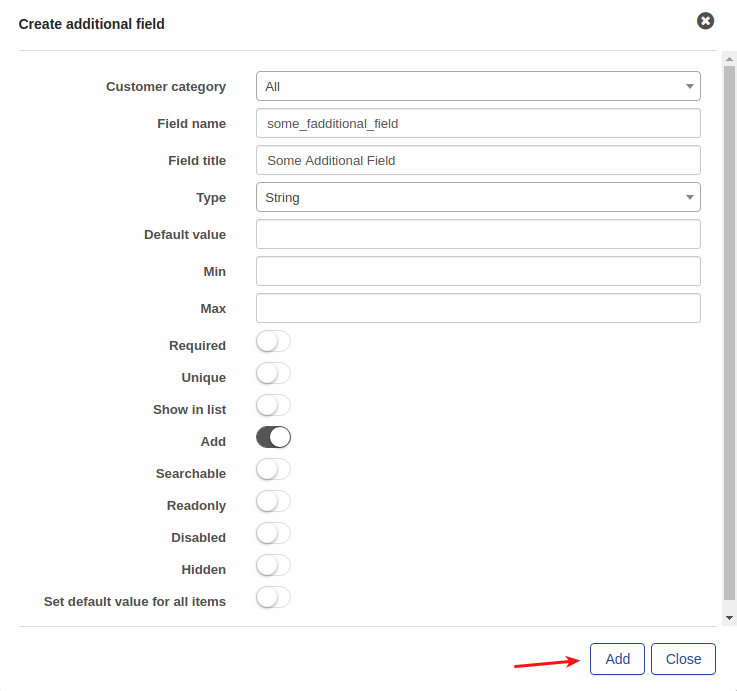 To add additional field, click on the Config menu, and click on Additional field. Select the module where you'd like to add an additional field and click on Add button. A window will pop up and it will be possible to create an additional field. In this example, it shows a some_additional_field additional field for the Customers module.